Officials say an autistic 18-year-old man from Bedford County, Virginia, has gone missing. According to statements from the Bedford County Sheriff’s Office, Timothy Kilpatrick walked away from his home at around 2 p.m. on Sunday. The office describes him as a black male, about 6 feet tall, and weighing 200 pounds. He was last seen wearing tan shorts, a blue shirt, and slippers or flip-flops. The sheriff’s office is now asking the public’s assistance in locating Kilpatrick. Anyone who sees him should call 911. According to local news outlet WDBJ-TV, people traveling in the Big Island Highway or Jopling Road areas should be cautious in case he is walking on the side of the road. The Bedford County Sheriff’s Office set up a command post at Otterville Methodist Church. State police used a helicopter to try and locate him overnight, but to no avail. Search and rescue crews are concerned because a storm hit the area before he went missing. Over the weekend, heavy storms hit the mid-Atlantic region, killing at least two people in Maryland. 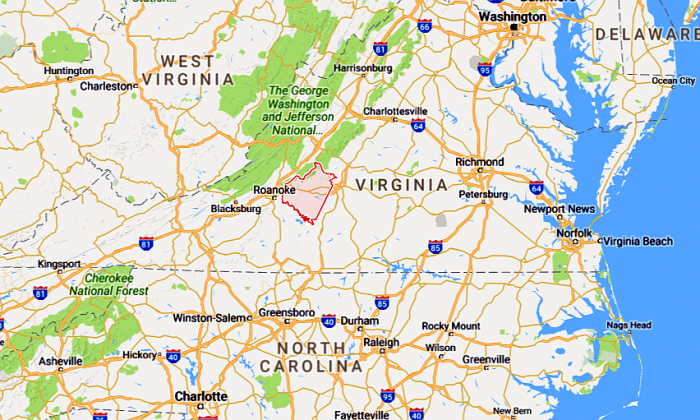 Thousands of people were left without power in Virginia.